Mr. Schenberg is a successful veteran businessman having founded and/or acquired several companies in the life-science, chemical, aerospace, construction, internet security, construction, and food processing industries. He has an extensive track-record of executive leadership as well as building value for stakeholders in his companies in partnership with his management teams. He has deep experience with start-ups, turnarounds, and merger/acquisition activities with a strong emphasis on commercialization activities. Three of the companies founded or purchased by Mr. Schenberg were subsequently sold to publicly-traded firms. He holds two patents and has taught courses on business and entrepreneurship at assorted venues including Indiana University Kelly School of Business from which he also holds a BS in Accounting and a Masters in Business Administration. Mr. Schenberg is married to his wife of 45 years (Patty) with whom he has 4 children and 7 grandchildren. He devotes a good deal of his civic time to 501C(3) public charities, and philanthropically donates money to a variety of medical research and patient advocacy groups. Dr. Knapp is Co-Founder and Director of Strand Diagnostics LLC, and co-developer of the Know Error DNA Specimen Provenance Assignment (DSPA) test and kit used to improve diagnostic accuracy and patient safety in the evaluation of patient tissue specimens. Dr. Knapp is a practicing urologist involved in medical education, clinical research, product development, practice growth and clinical service line expansion for over 25 years. He holds multiple healthcare patents, has authored more than 30 articles and several book chapters, and served as principal investigator or sub-investigator on more than 50 clinical trials. Dr. Knapp is the past President of Urology of Indiana, a 35 physician urology group practice, and serves as Volunteer Clinical Associate Professor of Urology at Indiana University School of Medicine. He is Past President of the North Central Section of the American Urologic Association, Past President of the Large Urology Group Practice Association and remains active in the health policy and healthcare advocacy activities of both national organizations. Dr. Knapp has also served as consultant to other healthcare industry companies by providing strategic guidance on product development and application. 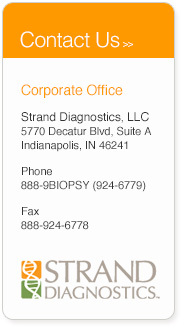 Dr. Knapp is a graduate of Indiana University and the Indiana University School of Medicine. He completed his general surgery internship and urology residency at the University of Michigan in Ann Arbor, Michigan. He is certified by the American Board of Urology and is a fellow of the American College of Surgeons. Phillip Gordon is currently the Director of the CSS Institute of Advanced Health in Phoenix, Arizona. Mr. Gordon’s success story includes political and policy development in designing and implementing strategies to create new business opportunities, prevent problems or resolve conflicts facing clients. He was the Mayor of Phoenix from 2004 to 2011 and has an extensive list of community involvement. Mr. Gordon has a law degree from Arizona State University College of Law and his undergraduate work was in History and Government at the University of Arizona in Tucson, Arizona.